There are so many books and so many guidelines for KAAL SARPA YOGA. KALSURPA YOGA becomes a beneficial point to astrologers as people are afraid of this yoga. 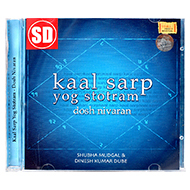 But before predicting anything one should go to the root of KAALSARPA YOGA and its effects. There are so many types of KAALSARPA YOGA. One should check the type: there are also clock wise and anti clock wise yoga which can be positive or negative to native. When all planets come between Rahu and Ketu it is called KAALSARPA YOGA. There are 12 types of KAALSARPA YOGA according to the places of Ketu and Rahu in horoscope. It must be seen in lagna kundli not in chandra kundli or surya kundli. 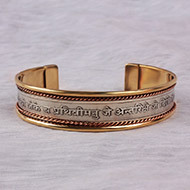 So to determine the type of kaal Surpa yoga one should properly draw the lagna kundli. 1. Anant KAALSARPA YOGA - Rahu in Lagna, Ketu in seventh house: The Native will be victim of betrayal everywhere. The native is prone to be target of conspiracies hatched by people supposedly close to him. The native is likely to lose out in matters of courts. 2. Kulika KAALSARPA YOGA - Rahu in second house, Ketu in eighth: This yoga will give native laziness n inactiveness. This combination is not good for the native's health. Expenses would be more than the income and the financial situation would remain fairly mediocre. He has to struggle a lot in life to achieve something. He would not get things easily. 3. Vasuki KAALSARPA YOGA - Rahu in third house, Ketu in ninth: If the native is in service, he must think twice before signing or stamping anywhere. this is a danger yoga for court cases etc. The native would have trouble dealing with his brothers and friends. Travel to foreign countries would create problems. The native having this combination in his chart should take precautions in deals by paying extra attention towards legal documentation. 4. 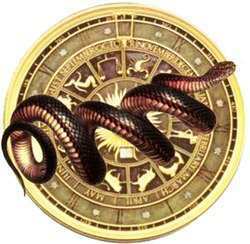 Shankapal KAALSARPA YOGA - Rahu in fourth house, Ketu in tenth: the main property of this native is dissatisfaction. The native with this combination would never be satisfied with his financial situation and would always strive for more. The native is prone to troubles relating to immovable property. The native may face problem regarding the ancestor properties also. 5. Padma KAALSARPA YOGA - Rahu in fifth house, Ketu in eleventh: This yoga gives problem to native in love life and married life. The native would have trouble with children. The native should never try his luck in lottery, share markets, and anything where speculation is involved. 6. Mahapadma KAALSARPA YOGA - Rahu in sixth house, Ketu in twelfth: loneliness is the curse to these natives. The native would not do well in relationships and would have a very pessimistic view of life. They have very different vision of life. 7. Takshak KAALSARPA YOGA - Rahu in seventh house, Ketu in first: The native will go for extra marital affairs and get defame in society. There is a need for the native to be extra careful in matter relating to married life and business partnerships. The native should not do any partnership in business. 8. Karkotik KAALSARPA YOGA - Rahu in eighth house, Ketu in second: The native has to struggle by his own. The native does not benefit from any paternal property. There would be a lot of trust issues between the native and his friends. This combination is not good for health..
9. Shankhnaad KAALSARPA YOGA - The native is very different in terms of religion n beliefs. Rahu in ninth house, Ketu in third: This combination indicates problems from higher authorities, government of the day and local administration in the field of business and commerce. Ego is the main problem of such natives. 10. Paatak KAALSARPA YOGA - Rahu in tenth house, Ketu in fourth: The native should not go for wrong business. Rahu being in tenth house indicates problem in employment and higher authorities whom the native would report to during his/her job. In job they find many hurdles. 11. Vishakt KAALSARPA YOGA - Rahu in eleventh house, Ketu in fifth: The native feels life is hell. This combination indicates a lot of problems between the native and his elder brother. The native would also remain away from his native place throughout his life. The native may find health problems time to time. 12. Sheshnag KAALSARPA YOGA - Rahu in twelfth house, Ketu in sixth: The native has fear of unknown. They can't sleep well. They have weird dreams. The native would be prone to problems from people whom he does not know. They lose their confidence and cannot success in any field of life. In case of opposite direction it gives good results. To remove bad effect of KAALSARPA YOGA one should do Shiva pooja. 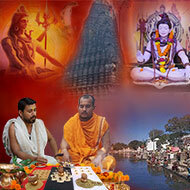 Daily Shiva pooja is the main solution for this KAALSARPA YOGA. Offer a small copper snake, silver snake and iron snake to Lord Shiva on 7 consecutive Mondays and do Laghurudra in Shiva temple. Mahamrityunjaya mantra, Rahu mantra and Ketu mantra java is the best remedy to ease malefic effects of this Yoga.